Sergeant Todd Shulman of the Napa Police Department has been involved with the Law Enforcement Torch Run for Special Olympics (LETR) since 2007 and currently sits on the LETR Northern California Executive Committee as the Region 7 Coordinator. He organized the first-ever Torch Run in Napa County and has developed numerous unique fundraising events, including “An Evening with the Stars” Wine & Bocce, “Cop on Top,” and others. Sgt. 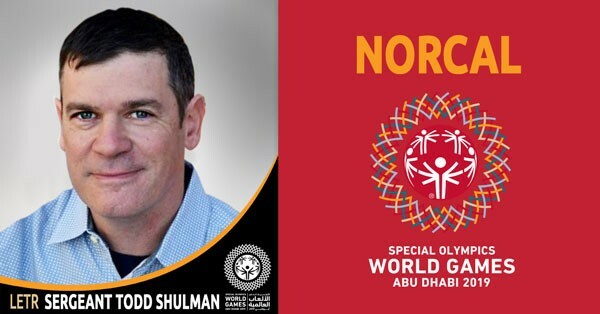 Shulman will represent SONC on the Final Leg of the Torch Run at the 2019 World Games in Abu Dhabi. Whatever you can give, your contribution will be very much appreciated.